Android Debug Bridge (adb) is the command line tool used to communicate with Android devices. It's installed with the SDK, but you may need to install one (any) of the Android API levels for it to be installed in the SDK directory. 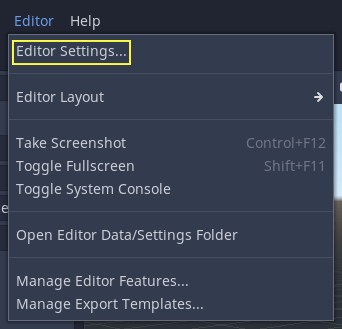 Enter the Editor Settings screen. 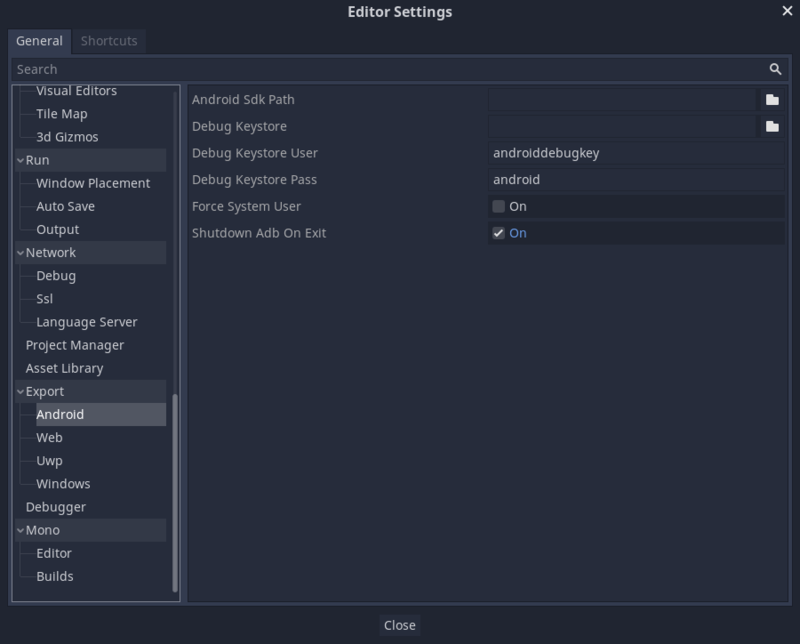 This screen contains the editor settings for the user account in the computer (it's independent from the project). This keystore and key are used to verify your developer identity, remember the password and keep it in a safe place! Use Google's Android Developer guides to learn more about APK signing. 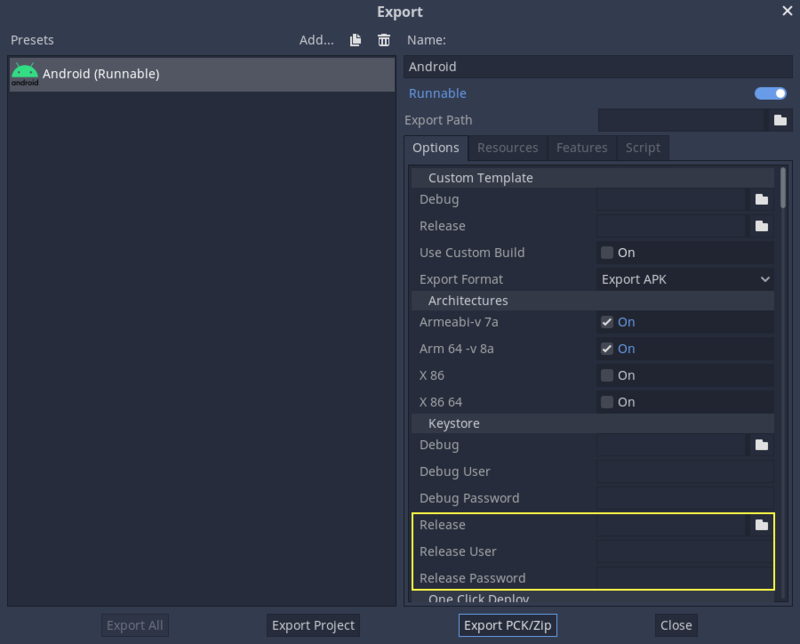 Don't forget to disable the Export With Debug button while choosing the APK's name.